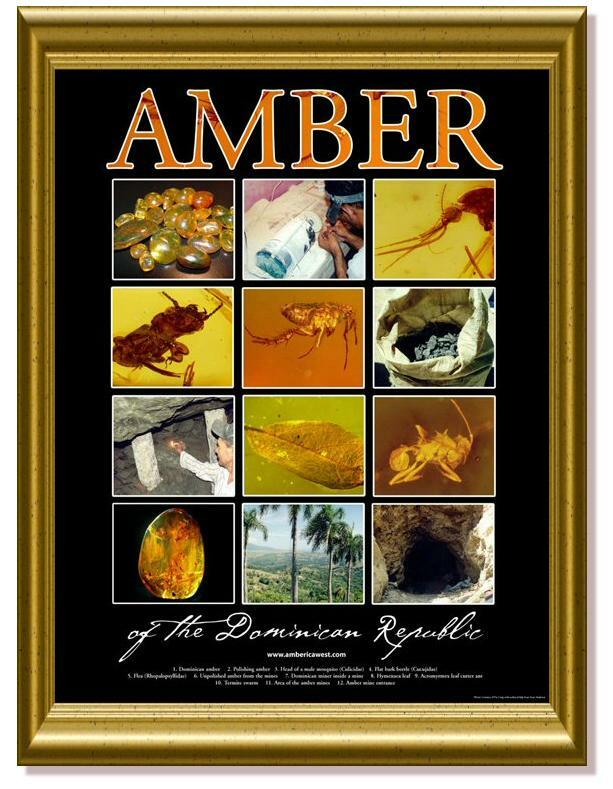 Here finally is a poster on Dominican amber. For some reason posters on amber are as rare as finding lizards in amber. Posters of this quality just do not come by very often. This one is a beauty. Take a look at the quality of the images, they are outstanding. There are pictures of the mines and even miners. Special photographs of mites, flat bark beetles, mosquitoes, leafs from the trees that produced the resin. Just a load of great information about amber. Perfect for the office, store, classroom, even a study or bedroom. This poster would make the perfect gift for that geologist or budding rock expert. It makes an even better gift for yourself! This poster is as good as they get. This museum quality poster is mailed in a sturdy tube so that there are no folds in it. The poster is printed on heavy card stock. Perfect for framing. Larger image of the amber poster. The poster is 22 x 28 inches in size. You can also order enlarged pictures of these insects in amber! U.S. Postal Service in a sturdy round tube.